If you need seat belt rewebbing, then you are in the right place! This is by far one of the most important seat belt services you can get to ensure the continued safety of you and everyone that rides in your car. There are many different reasons as to why you would need to get your seat belt rewebbed, but most of the common ones are if your seat belt webbing has ripped, in the process of ripping, frayed, fraying, torn or tearing. This could be happening due to basic use over time, or maybe it's because your dog chewed through it. No matter, we got you covered. We offer seat belt rewebbing services for all vehicles of any make, model and year. We can match your seat belt color exactly or you have the option of choosing a custom color from our list to dramatically increase the visual appeal of your cars interior. You can be confident in knowing that our seat belt webbing is of OEM fabric and meets all DOT regulations. 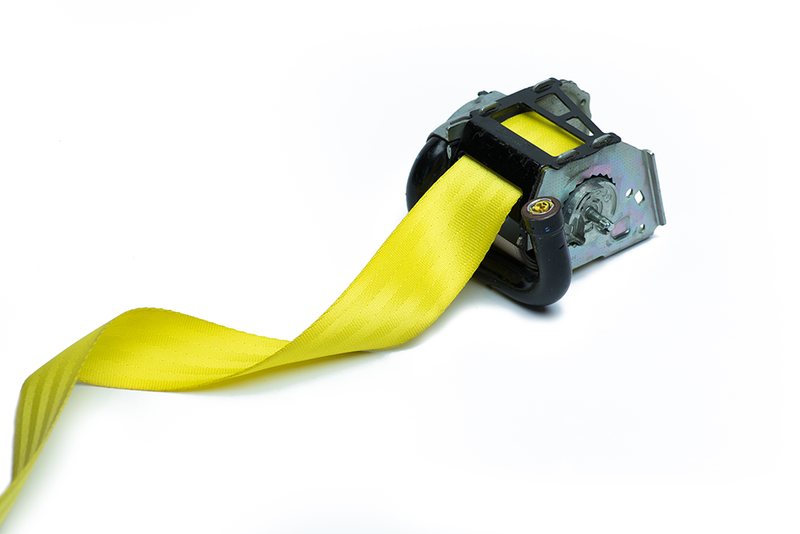 We will get your seat belt rewebbing done and shipped back within 24 hours of receiving it. Once you purchase the seat belt rewebbing service, you will need to remove your seat belt and ship it to us. We will make this process very simple for you after checkout with easy to follow guides. Get your seat belt rewebbing service started today.